‘WE’RE WIDE AWAKE, READY & WE’RE GOING TO TAKE YOU DOWN’. 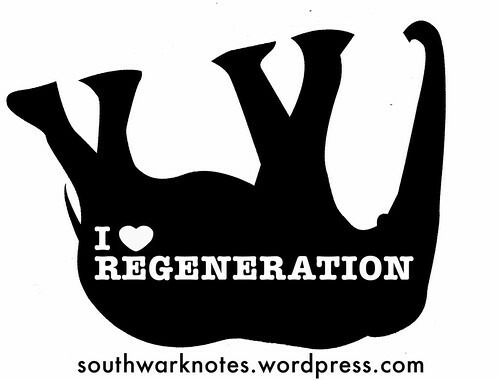 Aylesbury Estate leaseholders battling further Compulsory Purchase Orders for ‘regeneration’ | Southwark Notes - whose regeneration? 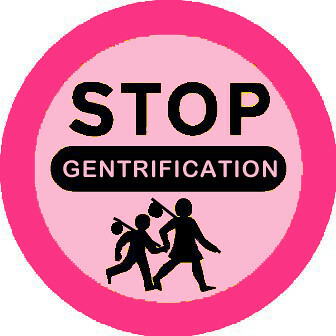 Aylesbury Leaseholders Action Group (ALAG) absolutely roasted Southwark Council’s Cabinet on Tuesday 24th July with a hot and heartfelt political statement against the ongoing ‘regeneration’ of the estate. The ALAG delegation of Aylesbury leaseholders were from Northchurch House which is the next phase of the so-called ‘regeneration’, a site called Plot 18 off Thurlow St. It’s questionable whether the Council actually needs to CPO this block as it continues to issue contradictory statements about whether it is a vital part of Plot 18 building works or not. ‘As leaseholders and residents of the Aylesbury estate, and we are making this public statement because Southwark Council, the developers Notting Hill Housing Association, central government and those profiting from the housing crisis would prefer that we didn’t. For too long, my family and thousands like us have suffered the silent oppression of state endorsed social cleansing. 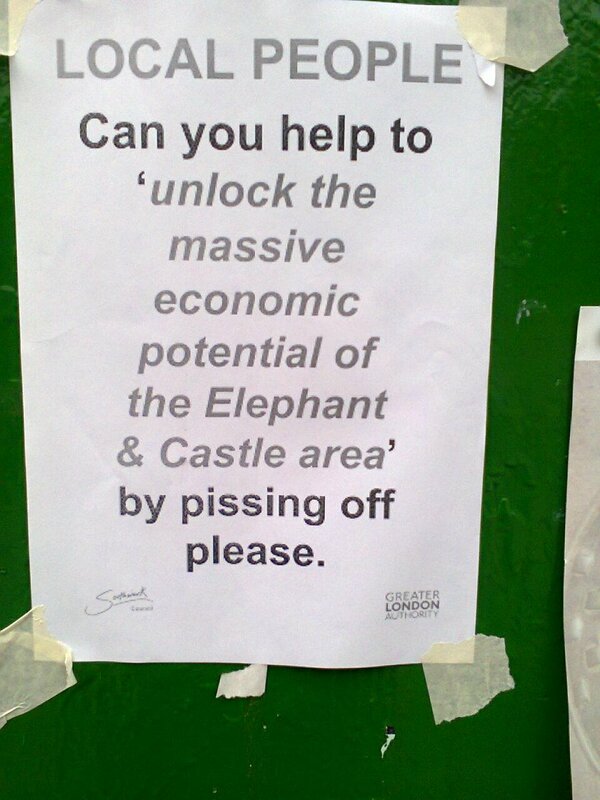 Southwark council has a history of violent social cleansing and it is yet to answer for the brutal displacement of residents on the former Heygate Estate. This oppression happens invisibly, via cabinet meetings, in council offices and coded into email chains that never see the light of day. The oppression is drawn out over years and the uncertainty eats away at the mental health and stability of its victims until they can take it no longer and cave. Let me state this. We will not cave. My family, our friends and neighbours and fellow activists will not cave. Southwark council has made a fatal error in judgement by deciding to abuse the rights of Judi, Mary & Felix, Grace & Solomon and Deji & Grace and all the others. My parents have paid for their education in this country, they have worked tirelessly and they have paid their fair share of taxes. They started their own businesses and rain or shine they paid yet more taxes. They saved what they could and chose a well located home of their own, surrounded by their community. They raised respectful, educated, law abiding families in these homes. While the council is happy to collect years of council tax and service charges and major works fees from these families, they are deaf to their cries for justice when deciding to dispossess them of these homes’. ALAG also requested to cabinet to not approve the CPO for the Northchurch block and the appropriation of land needed to start construction on the First Development Site and on Plot 18. Not surprisingly, cabinet proceeded to pass those resolutions without a single hesitation; the usual vague promises were made to meet with leaseholders to discuss and explain the situation further. We know however that what is needed are not explanations and more empty promises and lies (leaseholders understand perfectly well what’s going on), but actions to stop the demolition of the estate. The struggles on the Aylesbury Estate have been going on for decades with local tenants and residents seeking not to be displaced out of the area or see their council homes transferred to Housing Association. Right now, the outcome of the recent 2nd Public Inquiry into the Council desire to Compulsory Purchase (CPO) leaseholders from their homes on the First Development site is still unknown. You might have seen this site off Albany Rd where demolition has been in progress in the last few months pulling down the large Bradenham block (as well as the red brick Arklow House). 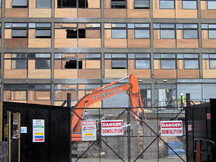 Despite this demolition, one leaseholder there is still battling the CPO as the other blocks come down around her ears! When a Council seeks to Compulsory Purchase your home, it’s because you can’t agree via negotiation with them a reasonable compensation for your home. Compulsory Purchase means that the landowner, in this case the Council, can ‘obtain land or property without the consent of the owner‘ as long as the Government agrees to this. Many Aylesbury leaseholders do not want to sell their homes and would prefer for the estate to be refurbished, but IF they are going to have to give up their homes then they have been demanding a reasonable compensation in return that would enable them to stay in their local area. Earlier phases of the regeneration have seen tenants and leaseholders displaced out of the area. Tenants to other existing council homes in Southwark and leaseholders far and wide as the money they got for their homes was not enough to buy locally. Partly this has been because the valuations made by the Council have been phenomenally low and the gentrification of the area (of which the Aylesbury regeneration is part and parcel) has massively pushed up house prices.Whatever the outcome of the ‘regeneration’ scheme, former Aylesbury tenants will either have to accept rehousing to new and more expensive and less secure Notting Hill Housing homes or face ‘decant’ to other parts of Southwark. For many these homes will be far from their existing social and survival networks – friends, family, schools, doctors, local shops etc. Another disaster from the scheme is an estimated loss of hundreds already existing council homes on the Estate. As always we say ‘whose regeneration?’ Who is really benefiting in this community? Many of the Aylesbury leaseholders are council tenants who bought their homes on the estate under the Right To Buy scheme. Although we do not support the sale of council homes,we understand why working class people decide to buy their flats. We recognise that any housing struggle on any estate has to show solidarity to all those who live there not to be forced out be they tenants, leaseholders, temporary tenants, private renters, unauthorised occupants or squatters. United we win, divided we beg for scraps! There have been two CPO Public Inquiries over the First Development Site. The first one resulted in a partial victory for leaseholders in September 2016, the second one is ongoing and waiting for the Government Inspector to make a recommendation to the Secretary of State who will then make known whether the CPO is confirmed or denied. Offer “like for like” homes to leaseholders whose home are being demolished. ALAG understands “like for like” as being able to stay within SE17 in a home of the same square meterage. We at Southwark Notes continue to stand 100% behind the Aylesbury Leaseholders Action Group and groups of tenants organising on the Estate!! Two displacement maps made by Aylesbury’s own pro-regeneration body Creation Trust showing where tenants from the state have been ‘decanted’ too. 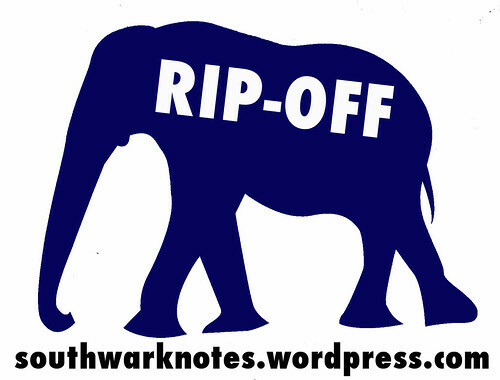 Also at Southwark Notes we have been stressing that the small Left shift in local Southwark Labour has yet to see any of those Left councillors step up and condemn the Aylesbury ‘regeneration’. 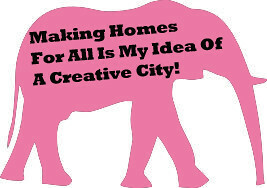 As ALAG says, after Labour Councillors support for the demolition of the Heygate Estate a few years ago – ‘Why are Southwark’s Labour councilors continuing to persecute their voters?‘ (on Aylesbury) This is a topic we are now beginning to stress and will return to soon – you can’t be against the social cleansing of The Elephant but remain silent on the violent regeneration of the Aylesbury.